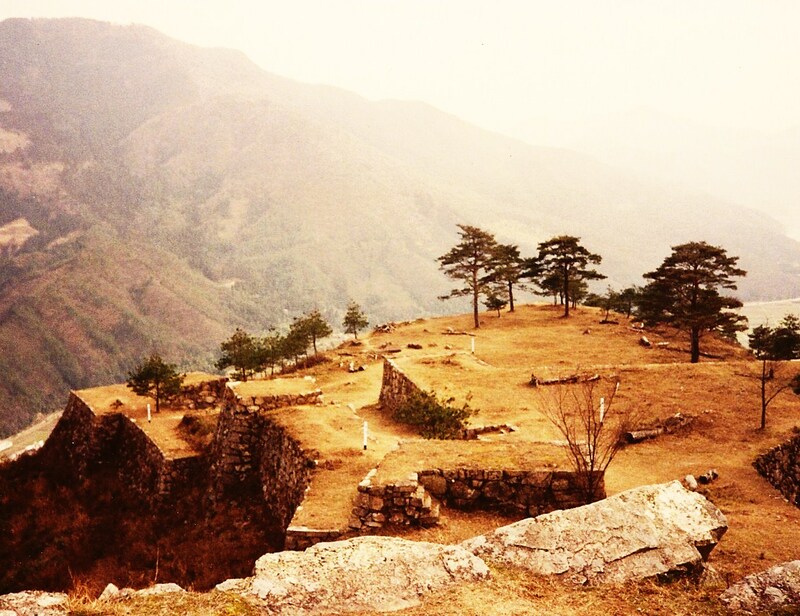 Takeda Castle Ruins. Winter 1990. 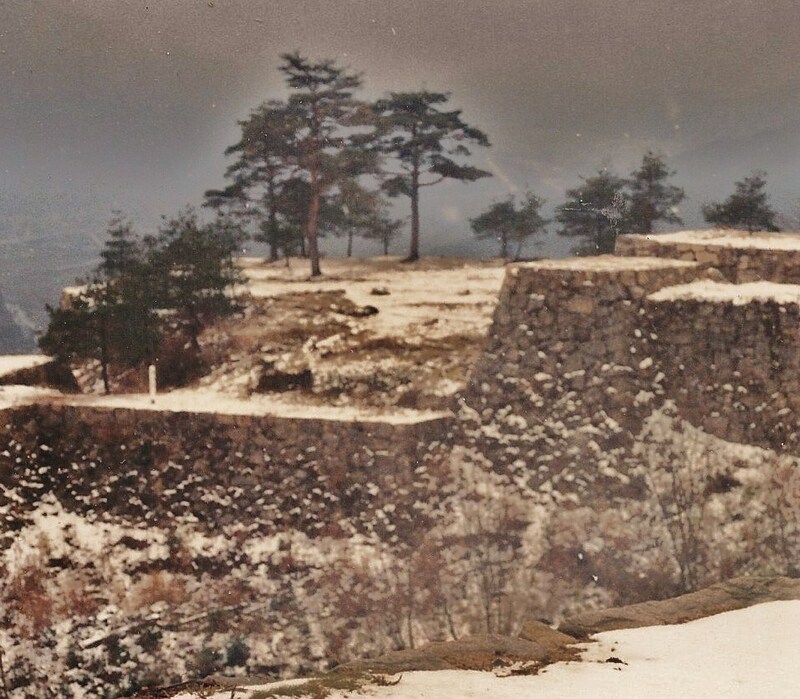 Back when I lived in Hyogo Prefecture, Takeda and its castle ruins were situated between Asago and Wadayama. A few years ago, though, Asago scooped Wadayama (and tiny Takeda) into its corporate boundaries, so now it’s all Asago. 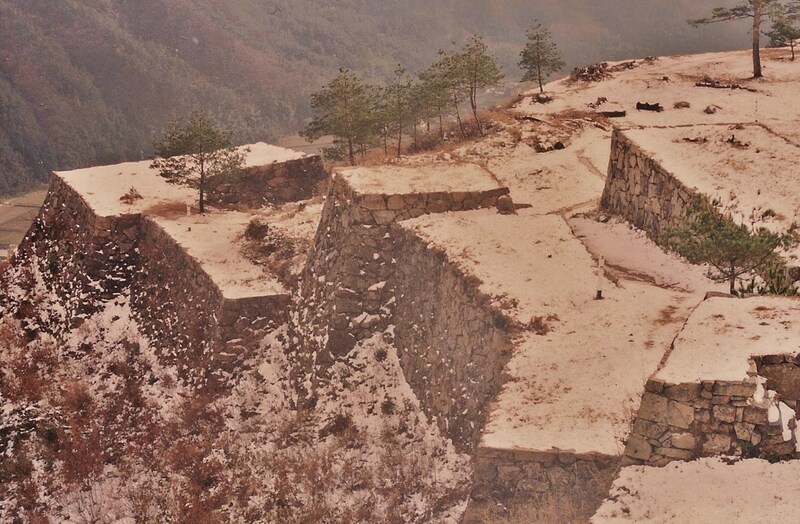 Here’s my blog piece on the Takeda Castle Ruins from a few years ago, featuring history, more photos, and how-to-get-there information. Long ago I used to go to Takeda, over and over again. 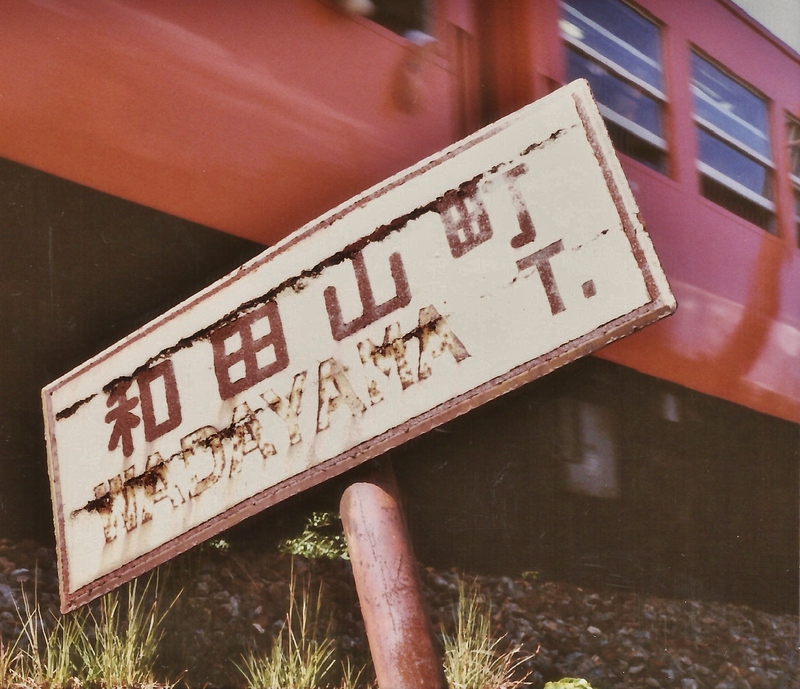 I hope to update and expand this post over the coming months and year, providing the reader with a great deal of history, information, personal reminiscences, about Takeda, which was just two short train stops from the one that was a five minute walk from my house in Asago. But I didn’t want to wait another week because I just came across this photo, of the blossoms next to Takeda Station (on the Bantan Line, running from Himeji to Wadayama* in Hyogo Prefecture). At Takeda Station at the foot of Takeda Mountain. Spring. 1991. Takeda is a mountain (竹田山). 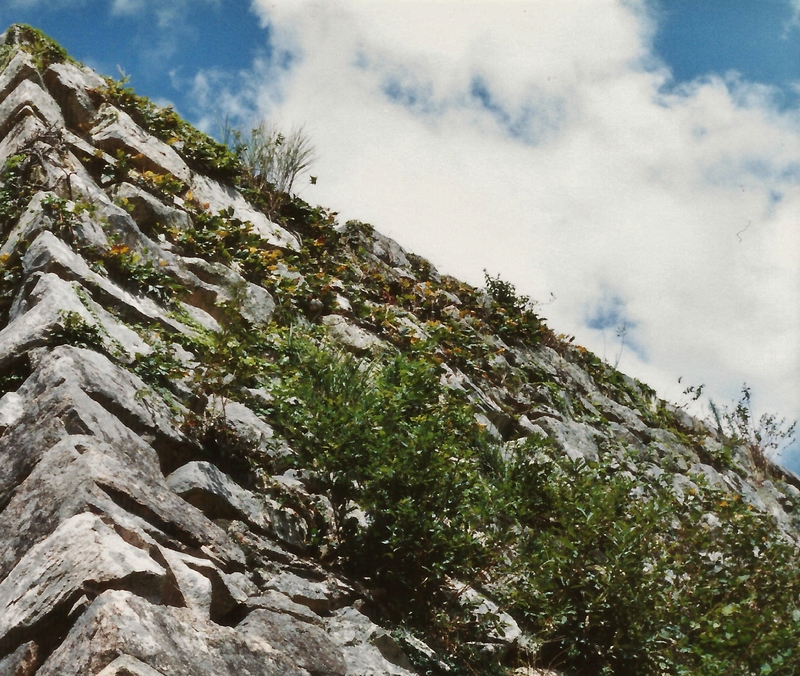 A hike-able mountain. It’s also castle ruins atop that mountain (竹田城). It’s the location of a big budget and historical samurai-era film, Ten to Chi to (天と地と / “Heaven & Earth”). It’s where I’ve been with good friends, a former fiance, all alone, my mom, more good friends. I look so forward to getting back someday soon. How to get to Takeda: From Himeji Station take the Bantan line north towards Wadayama (since Himeji is the southern terminus, north is the only way it goes from there). When you get to Ikuno you have three more stations to go (Nii, Aokura, Takeda). As the train pulls in to Takeda Station (竹田駅) you’ll see Takeda mountain directly on your left — pretty much the view in the top photo. De-train and follow the signs on the mountain-side of the tracks to and along the trail through a couple of small fields and then up the side of the mountain. Trip time from Himeji to Takeda: not much more than 90 minutes. Time to from station to top of Takeda: about 45 minutes, light-to-moderate hiking (for a reasonably fit person). Note: I’ll go come back to these photos sometime and clean up the little specks and smudges on these photos. *Wadayama and Takeda have now been annexed into greater Asago. 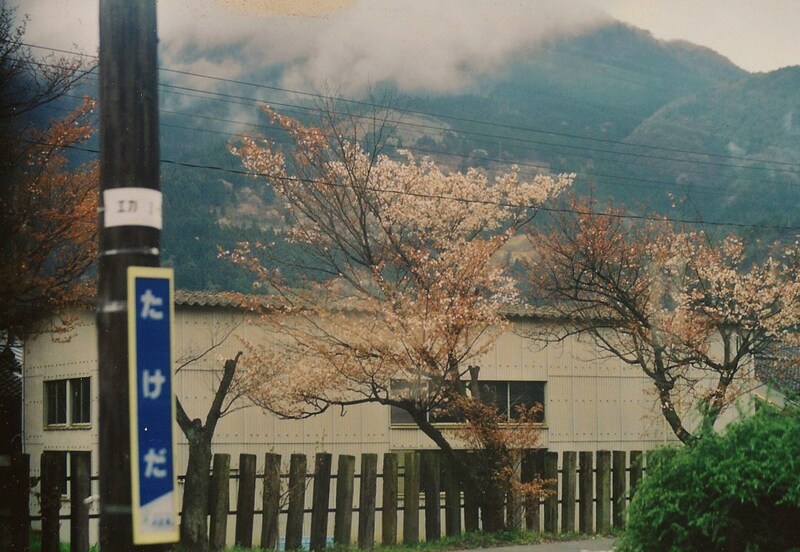 Update: Two additional, old, dusty photos I found from a Winter ’90 visit to Takeda-jo . . .
A light dusting of snow atop Takeda. December 1990. Takeda-jo. Detail of larger pic. December 1990. The Bantan Line (播但線) heads north, leaving Takeda, entering Wadayama. and “Sit on a rock for 3 years” (Ishi no ue ni mo san nen / 石の上にも三年). “Even monkeys fall from trees” is pretty easy to understand. In other words, even those with the most apparent skill (whether in social climbing or quarterbacking a college football team [St. Tim]) will someday get their comeuppance. “Sit on a rock for 3 years” is a little more obtuse. In sum, it means “be patient”. So, with that noted, I ask those several of you who’ve emailed me about when I plan to post Satsuma, Part II (the follow up to, surprise, Satsuma, Part I) to please sit on a rock for 3 years, or, perhaps, just 3-5 more days. I’m very appreciative of your eagerness to read the follow-up. Hold on, I’m coming. With that out of the way I post below, as several brilliant non-sequiturs, a few photos from bygone days, 1990-1, when I lived in the small town of “Asaki” (not the real name), Hyogo Prefecture. 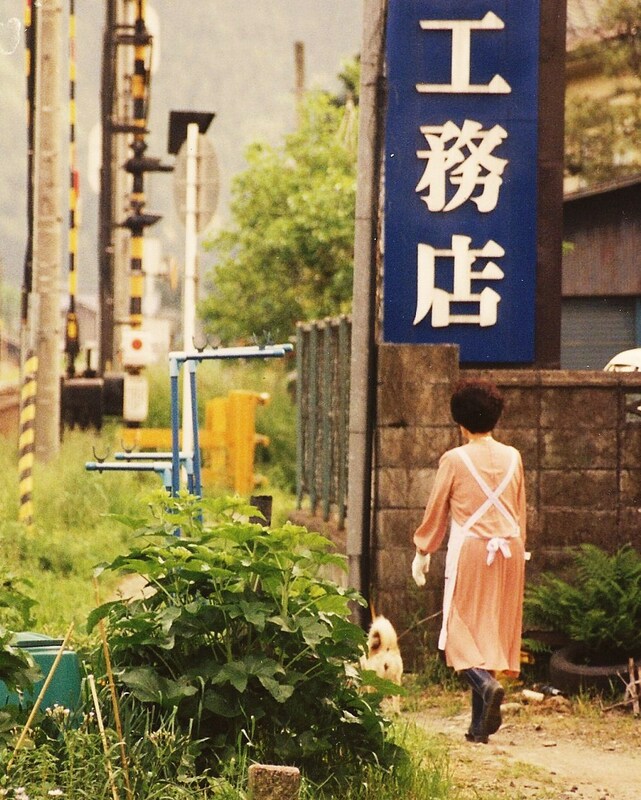 This town forms the backdrop for my story “Etsuko“. I’ve only recently come across these photos. I haven’t really “cleaned them up”, yet, so pardon any old pits or shmutz on them. Enjoy. Woman walking her dog. Near my house in "Asaki". Spring 1991. 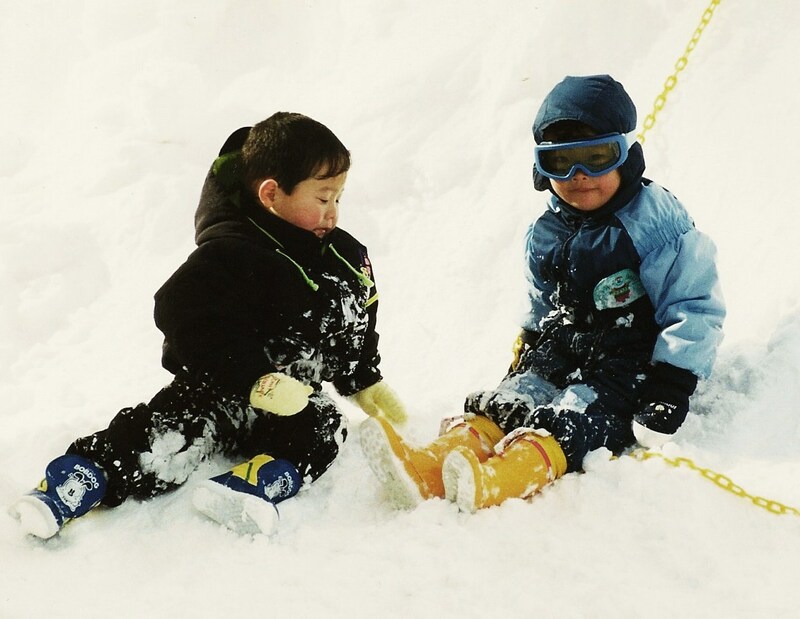 Youngsters at Hyogo Prefecture ski resort. February 1991. 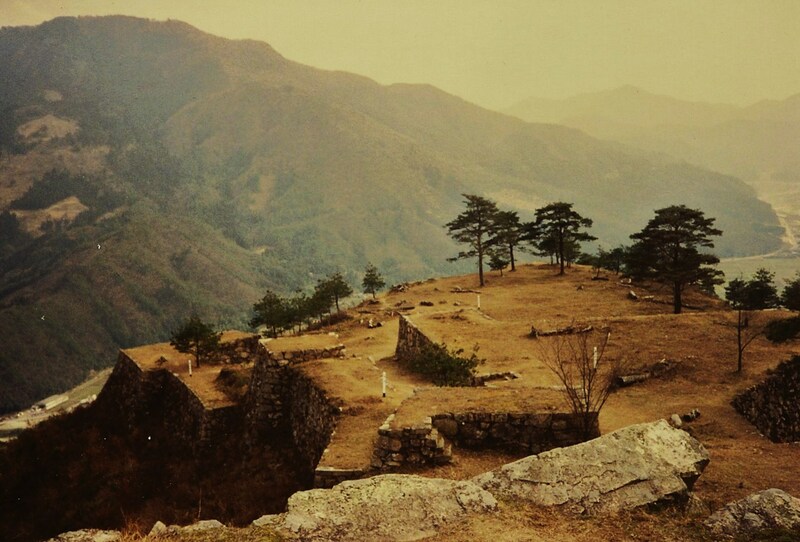 Ruins of Takeda Castle. December 1990. One trainstop and a 30-45 min climb "Asaki", where I lived in 1990-1.